3 bedroom, 2 bathroom house with pretty courtyard garden. Pet friendly. Open plan lounge/ dining area on the first floor with large pine table that comfortably seats 6. Outside - patio table in the courtyard front garden. A well maintained modern cottage in a great location, while we were there we had a lot of gales but it was lovely being in a cosy warm cottage with great views of the distant headland, everything was just as promised in the property description, we had a lovely few days break and would definitely come back again. Brilliant location right in the centre of the village. Nice modern house in good condition. It's nice house, well located and convenient. Another wonderful week in Port Issac, each visit makes it harder to leave! Cottage was perfect for us 4 adults and our 2 dogs, everything you need in the kitchen, plenty of hot water, powerful showers, cosy and warm rooms. The property was very clean and Maggie very helpful, lovely and friendly, very easy to contact and thank you so much for the much needed cream tea! 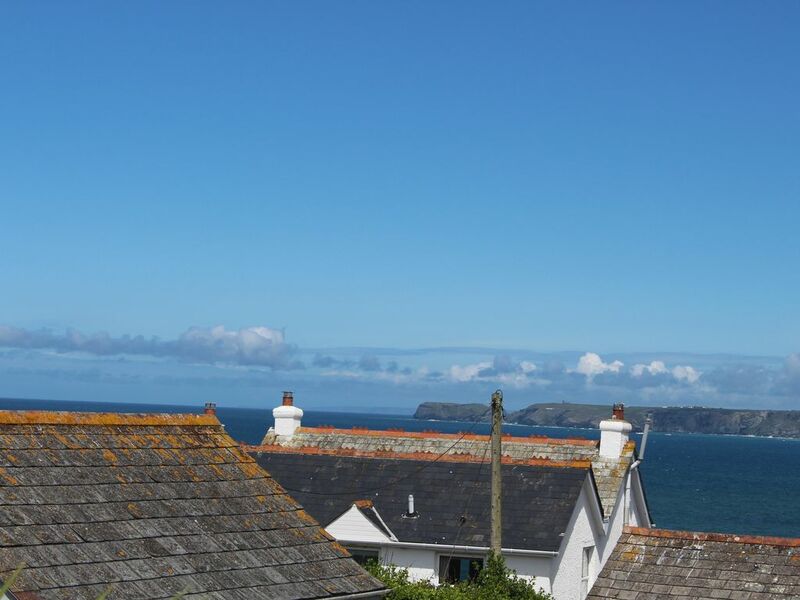 Excellent location for the village and Port Gaverne and has its own parking space. Pay a visit to Nathan Outlaws restaurant, a. 2 minute stroll from the house and very definitely worth it. Thank you for a lovely visit, can't wait to return soon. Great location. Lovely house. Parking included! We had a wonderful time at the cottage as Port Isaac. The accommodation was clean and comfortable, and Margaret was easy to communicate with and happy to look after our needs. We needed a bigger car space, which she worked out easily for us, and we loved the cream tea welcome when we arrived! Thank you, Margaret for such a lovely relaxing place for us to enjoy this beautiful part of Cornwall. The property was well equipped for 6 and was very clean. There was plenty of room for a weeks holiday. . The garden was very small with only 4 chairs.. I would have been difficult for 6 to eat outside and there was not a BBQ.